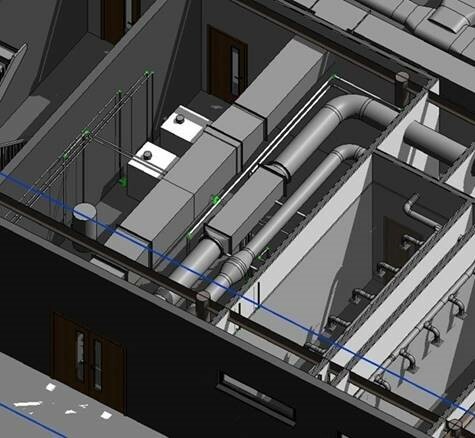 Ductwork and LPHW pipework can be imported on a system by system basis or as a complete project to ascertain how the services fit within the linked building model. 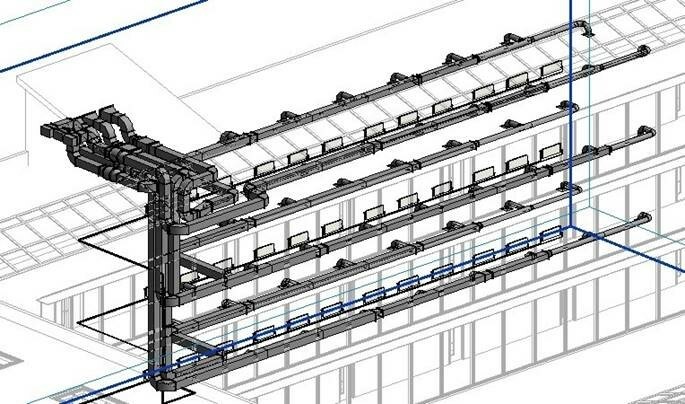 Utilising Revit functionality allows the users to view general wireframe views or specific cutaway or sections showing detailed areas of interest. 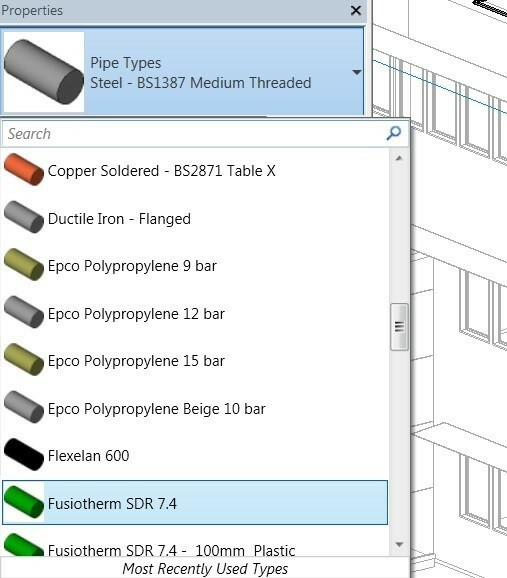 Once imported you can utilise all Revit functionality to amend layouts or to produce 2D drawings based on the 3D imports.